The Brno musical ensemble Brno Contemporary Orchestra will present the works of Erwin Schulhoff and Mauricio Kagel. Pavel Šnajdr will conduct the performance under the direction of Matěj Sýkora. “Mauricio Kagel, one of the leading personalities of the Euro-American musical avant-garde wrote the Varieté composition in 1977, which is at first glance a normal variety composition inspired by Latin American rhythms and dances. However, it carries a seductive aftertaste of banal awkwardness, which is elevated to autonomous communication. Die Wolkenpumpe by Prague composer Erwin Schulhoff is then one of the few pieces of evidence of Dadaism’s influence on the Czech musical sphere. Erwin Schulhoff was a member of a Stuttgart group centred around Otto Dix. The elements of nonsense, dada and neo-dada are included in both parts of the concert, which will also include performances by artists, jugglers and circus actors from the Cirkus LeGrando, whose gymnasium will be the venue of the concert,” says the dramaturge of the BCO, Viktor Pantůček. Cirkus LeGrando falls under the Lužánky workplace Legato. It predominantly focuses on creating circus clubs for children and adults and circus camps. The Cirkus LeGrando is a part of the so-called “new circus”, which focuses solely on the artist’s performances, often cooperating with foreign circus groups. The Cirkus LeGrando’s principal Marek Jovan Jovanovski studied the field of Drama Education at JAMU, beginning work at Lužánky shortly after the end of his studies as an instructor in a low-threshold club and drama ensemble. Later, he found a group of people sharing common interests in theatre and street art and decided to establish a circus. “To tell the truth, the project of cooperating with the BCO is a big unknown. In the past, we cooperated with the band Japka at the performance ‘Další prosím’ [‘Next please’] and also had several performances accompanied by custom-written music from Mario Buzzi, but we have never worked with an orchestra before. 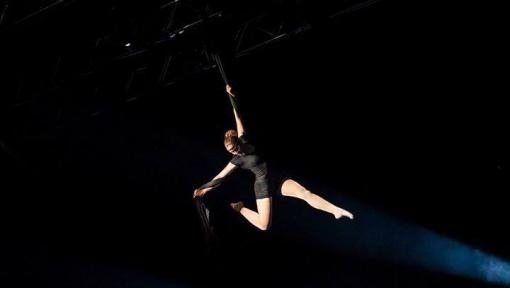 The Cirkus LeGrando repertoire includes artists both on the ground and in the air, unicyclists, jugglers with all manner of things, clowns, stilt walkers, equilibrists and magicians. Only the actual work with the BCO under the direction of Matěj Sýkora will show how we manage to put it all together. But we already know that we are all looking forward to it and it will certainly be a unique experience,” says Jovanovski. Matěj Sýkora studied scenography at JAMU. He first worked with BCO in 2017 as the creator of the stage set for Bergiana – an open-air project performed in different parts of Moravské náměstí in Brno. It consisted of three operas and one choral composition by one of the most interesting post-Janáček composers, Josef Berg. Sýkora focuses primarily on his own original projects including among others site-specific ones, also working as a scene and costume artist at the following theatres: Švandovo divadlo, HaDivadlo, Divadlo D’Epog, Divadlo D21, Divadlo Polárka and Divadlo Líšeň. 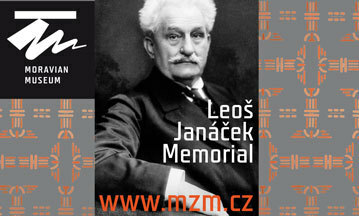 The performance is set to take place on 29 January 2019 at 7.30 p.m. at the Legato – pracoviště SVČ Lužánky, Stamicova 7 Brno.